The New & Interesting way of Chatting is Here! Gone are the days when chatting was limited to confusing and generic emoticons and boring texts. 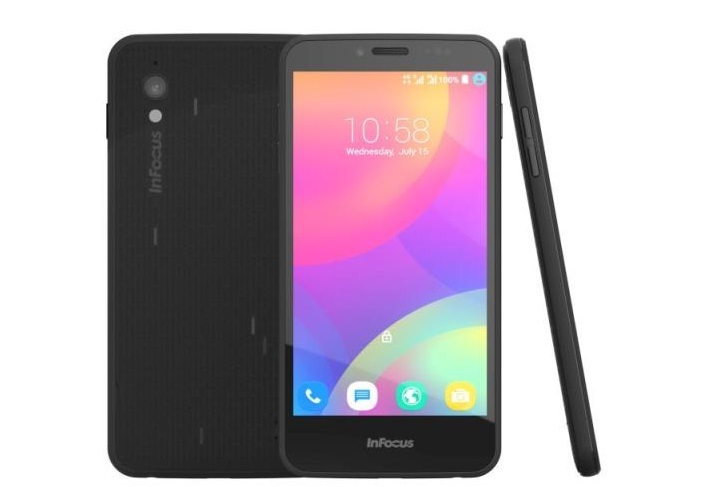 US-based tech pioneer InFocus today announced InFocus M370- exclusively on Snapdeal. The device comes preloaded with a feature that let users turn their faces into emoticons, making conversations interactive, exciting and personal like never before! Stylish and extremely lightweight, M370 alters the paradigm of chat-based ‘always-on’ conversations that have become the default way of being in touch. Besides offering a highly engaging social experience, InFocus M370 will also delight its user with best-in-class specifications for its price segment. The 4G LTE connectivity on M370 delivers seamless browsing, sharing and downloading experience on the go. Running on Android 5.1 Lollipop and armed with a powerful Qualcomm Snapdragon 1.1 GHz Quadcore processor coupled with 1 GB RAM, InFocus M370 is capable of handling multiple apps and processes at any given time, delivering unbroken and speedy gaming and browsing experience like never before. With an in built memory of 8 GB expandable upto 64 GB, the M370 can store everything from documents to photos, videos, and movies. With its 8 MP rear camera and 2 MP front cameras, the M370 is the perfect device in the hands of the youngsters for instant sharing of pictures and selfies with their friends and groups. The bright 5” HD display of M370 takes movie and video viewing experience to another level, with remarkable picture clarity. Despite being packed with powerful 2230 mAh battery, InFocus M370 feels extremely lightweight, made to easily slip into pockets or fit comfortably in the palm of your hands. Power packed and light on the pocket, both literally and figuratively, InFocus M370 will make its users the envy of their social gang! Adding to the trendy look of the device is the grid-like texture on the back, available in universally appealing colors of Black and White. 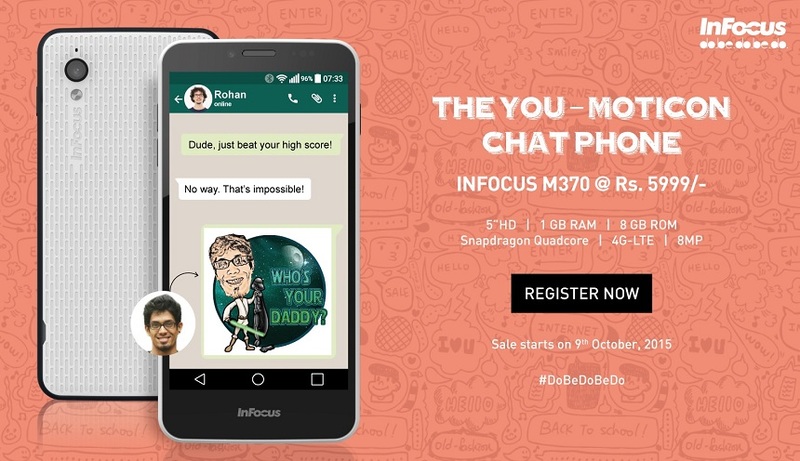 InFocus M370 will be available at Rs, 5,999, exclusively on Snapdeal, starting 9th October, 2015. Registration has already started on Snapdeal and will continue till 8 pm on 8th October, 2015.